Paris - WhatsApp has raised its minimum age for users in the European Union to 16 years, as the bloc prepares for a new online privacy law to come into force next month. In an update to its terms of service on Wednesday, WhatsApp said the minimum age for users outside the EU was still 13 years. "If you live in a country in the European region, you must be at least 16 years old to use our services," WhatsApp said on its website. In its blog, the app said it was preparing for the General Data Protection Regulation (GDPR), which is set to come into force on May 25. Under the law, children must be 16 years of age in order to give consent for their personal data to be processed. 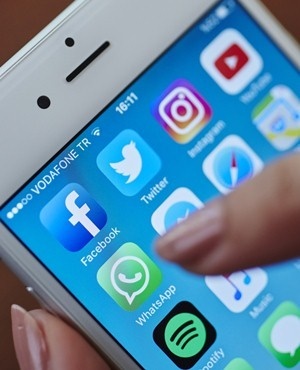 "Next month, the European Union is updating its privacy laws to require greater transparency for how people's information is used online," WhatsApp said. However, the company did not say how it plans to enforce the change in the rules. Facebook, which owns WhatsApp, has also pledged to change how it handles private data to comply with the forthcoming law change. But the scandal raised the alarm for internet users around the world over issues relating to online privacy, in an unprecedented way. It has also prompted social media giants to go all out in a bid to assuage users' fears of their data falling into the wrong hands.